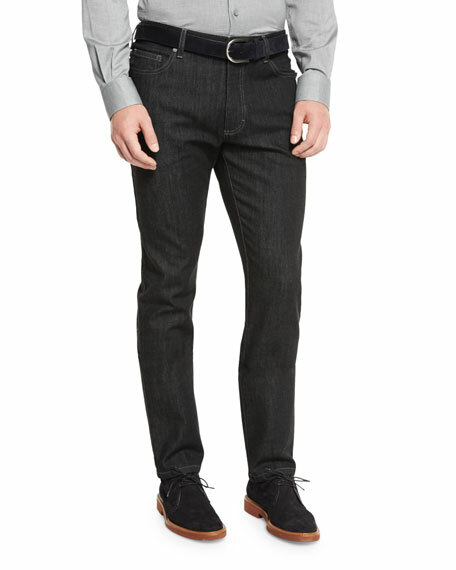 Ermenegildo Zegna stretch-denim jeans with contrast topstitching. 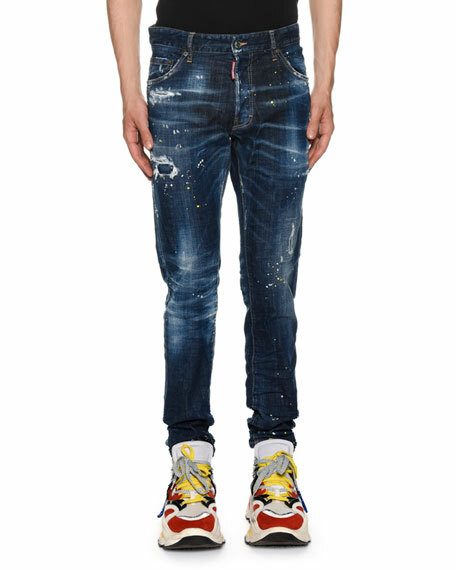 DSquared2 "Cool Guy" jeans in dark-wash denim with paint-spots and distressed detail. 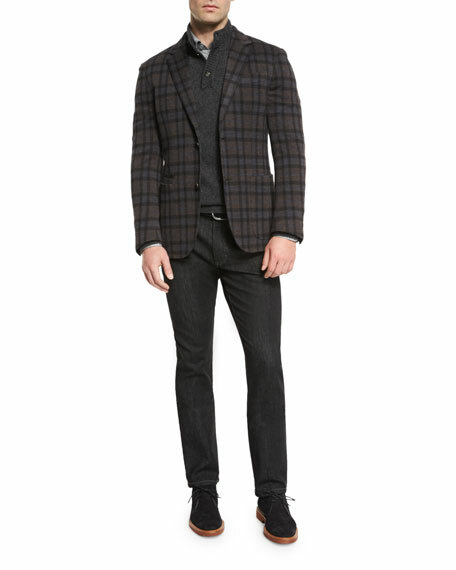 Five-pocket style. Leather logo patch at back waist. 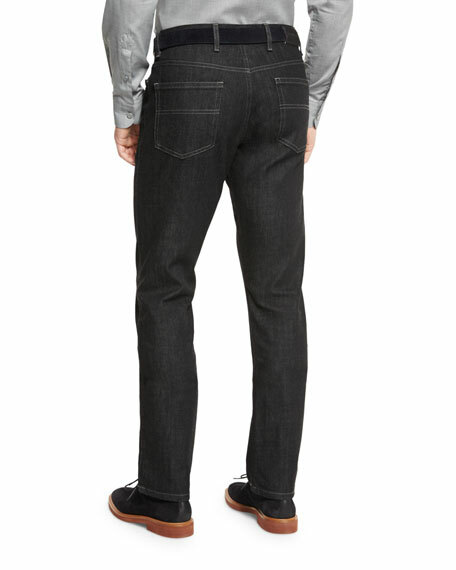 Slim-fit legs; slightly tapered hem. Button fly; belt loops. Cotton/spandex. Made in Italy. 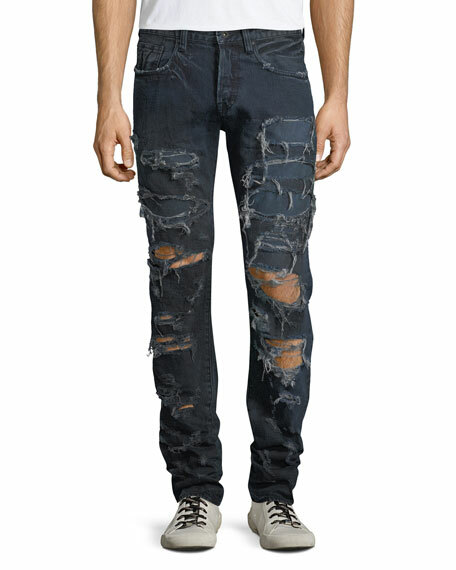 Prps "Demon" fit jeans with heavy distressing and repair details. Approx. measurements: 10" rise; 15.5" leg opening. Five-pocket style. Leather logo patch at back waist. 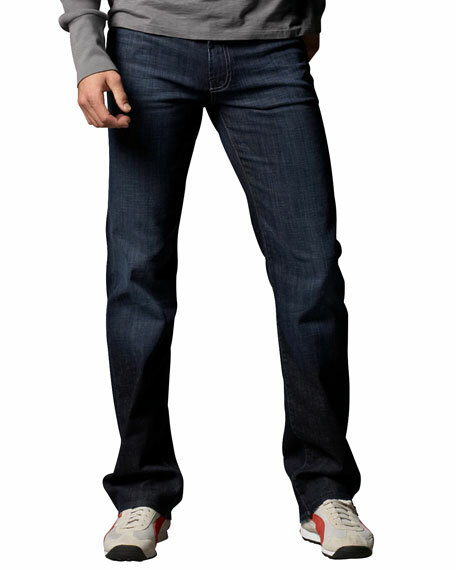 Slim fit through straight leg. Button/zip fly; belt loop. Cotton. Imported. 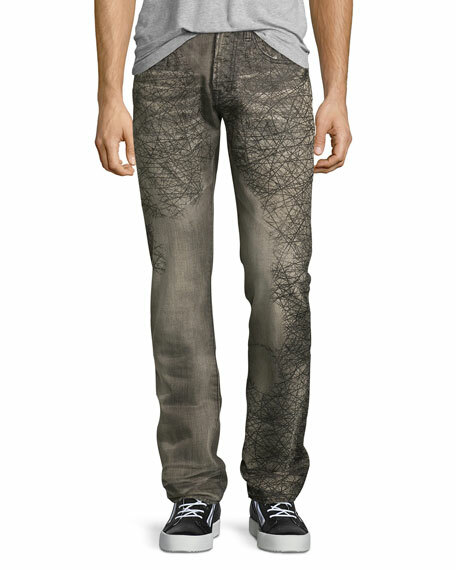 Prps "Demon" fit jeans in gray wash with allover scribble print. Approx. measurements: 10" rise; 15.5" leg opening. Five-pocket style. Light whiskering, fading, and distressing. Relaxed fit through slim legs. Button fly; belt loops. Cotton. Imported.